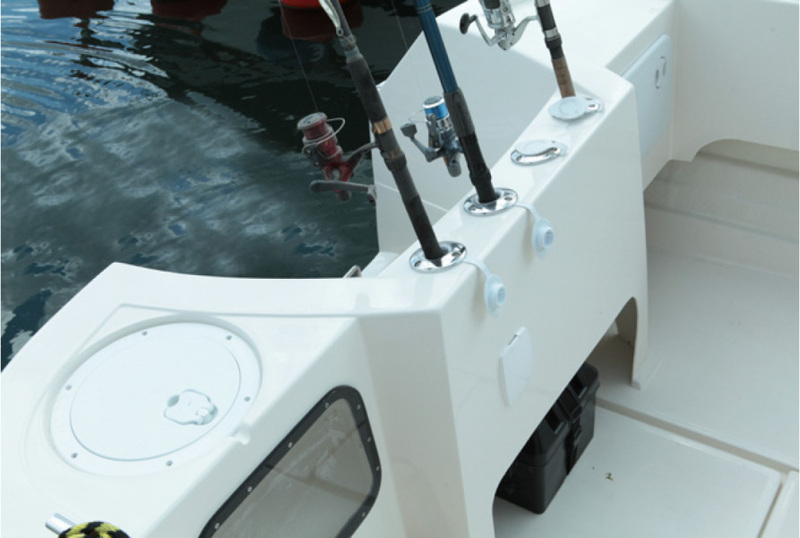 The strong and durable hull of Pro-Fish 560 has been designed for intensive use by anglers, both amateurs and professionals. 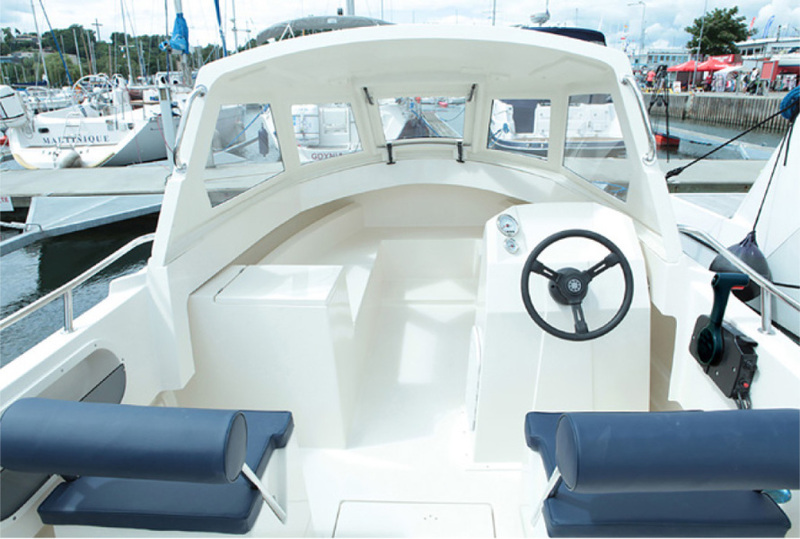 The boat handles perfectly in rough weather whilst offering shelter from all weathers with its spacious cuddy. 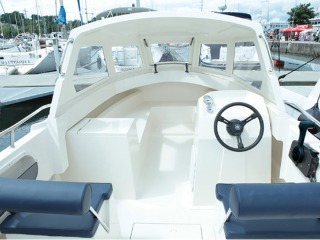 In the cockpit of the Pro-Fish you can find everything you need for a good days fishing; high and safe side with additional grab rails, four rod holders installed on the stern of the boat, on the starboard side you will find a live bait well that allows long storage of bait whilst on the port side there is a worktop for gutting fish. 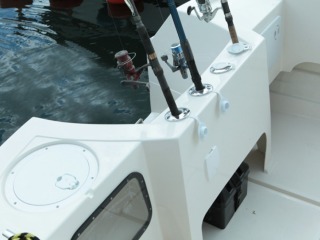 The boat boasts large amounts of storage for both your catch and all your gear. It has 10 practical storage compartments which help keep all your kit in order. 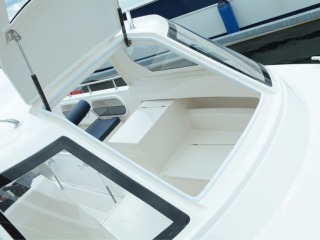 In the front part of a superstructure there is a liftable hatch giving you access to service the bow section and allow for access to your bow anchor. 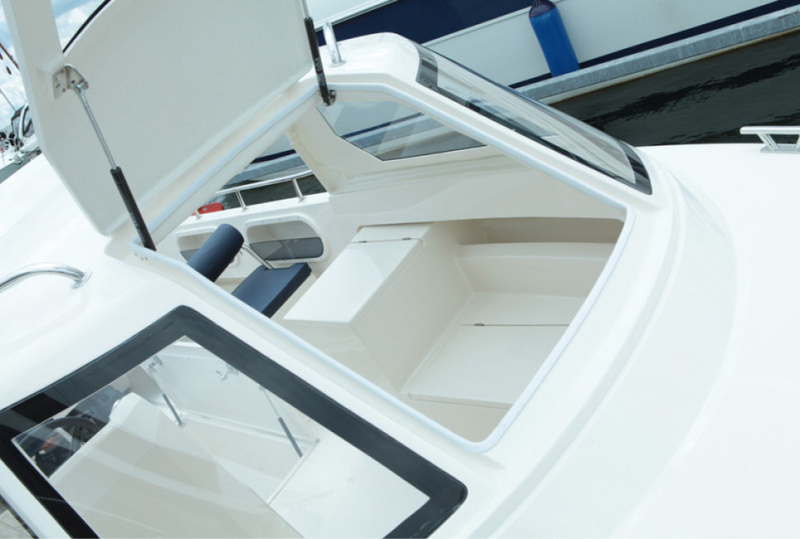 The Pro-Fish 560 is a compilation of a practical working boat while maintaining a slim profile that gently cuts through any wave giving you the ultimate comfortable ride. The boat has been designed for easy recover and transportation by trailer.